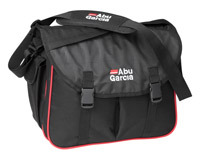 These modern Abu Garcia game bags are a perfect size for most game fishing gear and equipment. 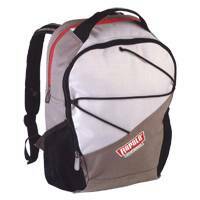 Made from a durable strong fabric with strong zippers, these fishing bags are a proven range to last for years.  Strong fabric and zips. 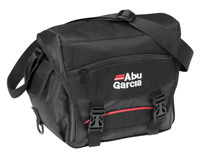 Abu's modern design makes the Compact Game Bag ready for years of heavy use. 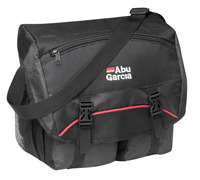 Abu's modern design makes the All Round Game Bag ready for years of heavy use. Abu's modern design makes the Premier Game Bag ready for years of heavy use.  Lightweight day pack with streamlined design. 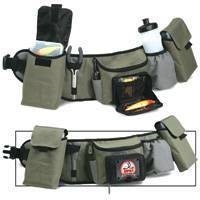  Accomodates two 3700 size tackle boxes. 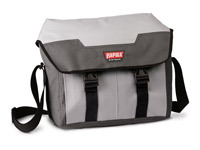  Multiple pockets for tackle and compression straps on sides. 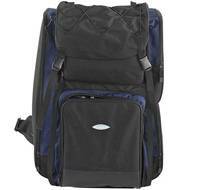  Shaped back with well ventilated padding.  Ergonomic shoulder straps for user comfort.